A Bosnian War orphan of Muslim heritage escapes his homeland, finds a new family in New England, and learns to deal with his trauma--and years later falls into the depths of post-9/11 America's extraordinary rendition program. A piercing and resonant debut novel about war and the endurance of the human spirit, and a cautionary tale about the damage that can be inflicted upon war victims when wealthy nations become obsessed with self-protection and retribution. This book contains an author Q&A at the back, and so is ideal for book group adoption and discussion. 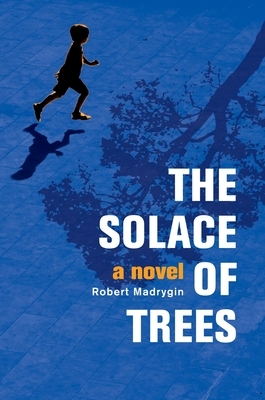 The Solace of Trees tells the story of Amir, a young boy of secular Muslim heritage who witnesses his family's murder in the Bosnian War. Amir hides in a forest, mute and shocked, among refugees fleeing for their lives. Narrowly escaping death while wandering through rural Bosnia, he finds sanctuary in a UN camp. After a charity relocates him to the United States, the retired professor who fosters Amir learns that the boy holds a shameful secret concerning his parents' and sister's deaths. Amir's years in the US bring him healing and a loving place in a new family. In college he falls in love⎯and he accepts the request of a professor of Islamic studies to edit a documentary film on the plight of Palestinians. 9/11 comes, and with it, the arrest of the professor for his ties to terrorist organizations. As Amir enters adulthood, his destiny brings him full circle back to the darkness he thought he'd forever escaped. For fans of Sara Novic's Girl at War, Kenan Trebincevic's The Bosnia List, and Steven Galloway's The Cellist of Sarajevo. Robert Madrygin has experienced the meaning of culture, ethnicity, and language from many perspectives. As a child he lived in US-occupied Japan, attended a local school, and learned to speak Japanese. His father’s career then brought him back to the US to live on both coasts, and subsequently to Morocco, Franco-ruled Spain, and Paris. The adjustment in cultural shifts and moving from home to home were made all the more difficult due to the illness his mother suffered throughout her life, causing long periods of hospitalization and necessitating that he be placed in a succession of temporary homes during his early childhood. While Madrygin was in his teens, his father suffered a series of massive debilitating strokes and his mother died. On his own at a young age, he continued a life of travel. He worked in Spain as a laborer, in Italy as a deckhand on a ship, and in Alaska on a railroad and as a crew member on a fishing boat. Madrygin first started writing in his early twenties but put it aside when he met his future wife, married, and started a family. During this period Madrygin, his wife, and three children lived in the US, Ecuador, and Spain and traveled widely. It wasn’t until years later, while living in Spain, with his children now grown, that the call to writing returned, and Madrygin, informed by a lifetime of experience, took up where he had left off decades earlier. He and his wife live currently in Vermont. "Using firm, quiet language to agonizing and ultimately infuriating effect, debut novelist Madrygin tells an important story, revisiting the raw and ugly violence that descended on the Balkans with the splintering of Yugoslavia while also capturing the refugee’s experience in America, trying to recover from horror.... Powerful, eye-opening reading for everyone."